HIV activist Gina never looked at herself as a victim of intimate partner violence, “I just thought I was a chick that got beat up sometimes.” When she found out she was living with HIV it got worse. “He used my HIV diagnosis as a weapon. He didn’t want me to go to the clinic because he felt like if I go to the clinic and people see me, then they’re going to think he has it. The abuse went from physical to psychological and emotional,” she recalled. Gina and Lynnea are not alone. The shame, silence and lack of awareness surrounding intimate partner violence keeps many women from seeking help and getting the care they deserve. For women with HIV, abuse can further compromise their health. One in three women in the U.S. experiences domestic abuse; among women with HIV, it is one two. And the connection goes both ways. Gina and Lynnea are among five women featured in Empowered: Women, HIV and Intimate Partner Violence, a new campaign from Greater Than AIDS to break this cycle. Produced in partnership with leading women’s health organizations, including those working in the HIV and domestic violence fields, the campaign gives voice to women who have had these experiences and educates those at risk, and their loved ones about staying healthy and safe. 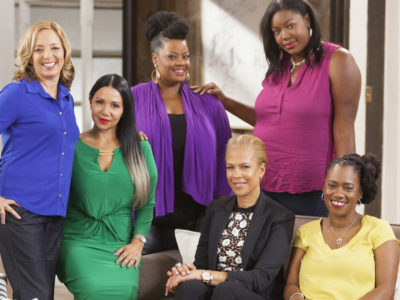 Anchored by a 20-minute video featuring Tonya Lewis Lee – lawyer, author, producer and long-time advocate for women’s health issues – the campaign takes an up-close look at the issue from the perspective of women living with HIV who have had experience with, and received services related to, intimate partner violence. Another woman in the campaign, Maria, shares about painful childhood abuse that resulted in her as an adult “looking for what was familiar to me, which was violence.” Ultimately, this lead to her learning she had HIV. The statistics show that women who experience abuse are more likely to contract HIV and experience other health issues. For some women with HIV, an abuser may try to use their status against them. This can increase depression and lower self-esteem, which in turn compromises an already vulnerable immune system. The campaign stresses that there is help and provides resources for those in need and at risk. Gina, Vickie, Michelle, Lynnea and Maria are speaking out about their experiences to empower other women to see that they are not alone, help is available, and that there is a way forward. 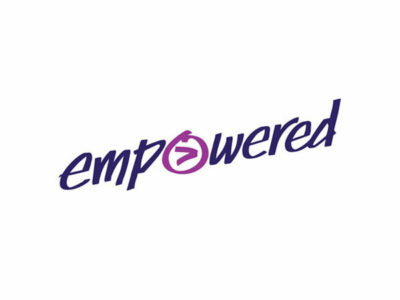 Empowered: Women, HIV and Intimate Partner Violence is produced in partnership with The National Domestic Violence Hotline, loveisrespect, Planned Parenthood Federation of America, Positive Women’s Network-USA and The Well Project. The Elizabeth Taylor AIDS Foundation provided additional support for community materials available free-of-charge to support outreach. For more about the campaign, including resources for women experiencing or at risk of HIV and/or abuse, as well as to request a community toolkit, go to empowered.greaterthan.org. To view the videos, go to YouTube.com/GreaterThanAIDS. #TransEmpowered on the Global Stage!